What Happens To My Co-Signers In A Chapter 13 Bankruptcy In Ohio? What Happens to My Co-Signors in a Chapter 13 Bankruptcy in Ohio? When our clients are in a difficult position, they are worried about their financial situation. However, our clients are also worried about any co-signors they have, and want to know how the bankruptcy might affect these co-signors. For example, if a client’s parent is co-signed on a car loan, the Chapter 13 plan can propose to pay the contract interest rate of the car loan in order to protect the co-signor. This means that the lender cannot attempt to collect from the co-signor, as long as the plan payments are current. While you are in a Chapter 13 bankruptcy case, you are protected by the “automatic stay”. This stay is meant to protect you from creditors in many ways—phone calls should stop, garnishments cannot legally be taken, no lawsuits may be initiated against you (to name a few protections). Although there are some exceptions to this stay, in most cases, our clients are protected by this stay while in the case. However, a co-signor may also be protected by the stay. Typically, as long as the debt at issue is proposed to be paid in full in the Chapter 13 plan, the co-debtor stay remains in place during the pendency of the case. If the debt is not proposed to be paid in full, it will be important to discuss any consequences with our office and we can advise you how your co-debtor can be affected by the filing of the case. So, although it is always important to our firm to protect our clients’ financial interests, we also assist our clients, through the help afforded by the bankruptcy code, to take care of any co-signors. This is possible in a Chapter 13 bankruptcy and all parties can be protected! Our firm has over 15 years of experience in the field of bankruptcy law. If you are plagued by enormous debts, constant calls from collections, or the threat of wage garnishment, a Columbus bankruptcy lawyer can represent you and protect you from debt collectors. Our solutions have helped our clients rebuild financial confidence and clear away debt. Financial struggles are painful, stressful, and confusing, but you do not have to face them alone. 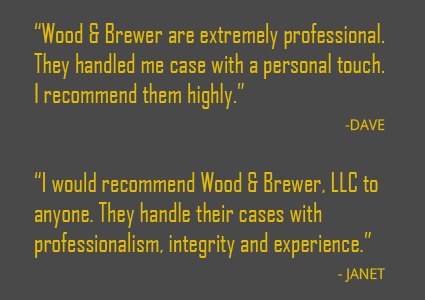 Contact our firm today for more information or to schedule a free consultation!